Before Serge Fournier was twenty years old, he had already won three first prizes from the prestigious Conservatoire National Supérieur de Musique in Paris. Beginning his musical studies on the flute at the age of ten, an early prize in flute had quickly identified his extensive talents to the teachers at the Conservatoire. While performing as a flutist in various orchestras of Paris, Fournier pursued a conducting curriculum at the Conservatoire. There, he studied harmony with the noted composer Maurice Duruflé and conducting with Louis Fourestier, Music Director of the Paris Opera. Another teacher and mentor was the legedary Charles Munch who helped give direction, guidance and inspiration to the aspiring young conductor from Tours. Fournier's demonstrated commitment to his studies , aided by his practical experience as a flutist playing in orchestras, earned hin yet another first prize from the Conservatoire, this time for orchestra conducting. Maestro Fournier attained his first conductorship with the Orchestre du Grand Casino de Vichy. In his next position, he would follow Pierre Boulez as Conductor of the Compagnie Renault-Barrault, Théâtre de France, in Paris. In order to extrend his knowledge and repertoire beyond the French tradition, he travelled to study in Rome and Munich where he not only mastered the languages of those countries, but mastered the classical compositions and styles of these great cultures, the high point being his studies with Friedelind Wagner and Walter Felsenstein at Bayreuth. Before Fournier was yet thirty, Charles Munch , then Music Director of the Boston Symphony invited the young conductor to study at Tanglewood, where, once again, Fournier distinguished hinself by winning the prestigious Koussevitsky Memorial Conducting Prize. 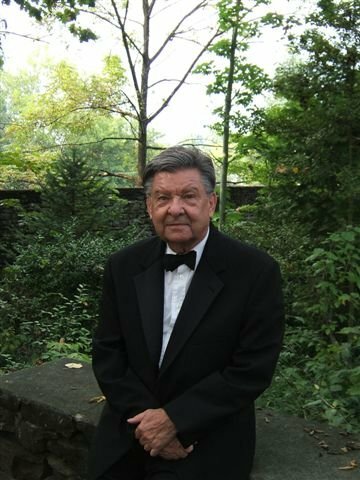 This exposure at Tangelwood brought him his first conducting post in the U.S., as assistant conductor to Leonard Bernstein and the New York Philarmonic. Here he made his American television debut and launched a career in the States. Serge Fournier spent fifteen seasons as Music Director of the Toledo Symphony and has just completed nine seasons with the Oak Ridge Symphony and Chorus. recorded at the Oak Ridge First United Methodist Church. Maestro Fournier's guest apearances have included such notable North American Orchestras as: the Chicago Symphony, New York Philarmonic, The Orchestra of St. Luke's, St. Louis Symphony, New Orleans Symphony, Montreal Symphony, Dallas Symphony, Seattle Symphony, New Jersey Symphony, and the FLorida Orchestra. In addition, Fournier has conducted orchestras throughout the world including Berlin, Brussels, Tokyo, Athens, Mexico City, Turin, Naples and of course his native France. His warm colaborations with fellow performers include such artists as: André Watts, Jean-Pierre Rampal, Maurice André, Doc Severinsen, Janos Starker, John Browning, Nathan Milstein, Itzak Perlman, Salvatore Accardo, Pierre Fournier, The Jess Trio, Vienna..and Van Cliburn to name but a few. In addition to his conducting, Maestro Fournier has led seminars and master classes at various universities across the world.